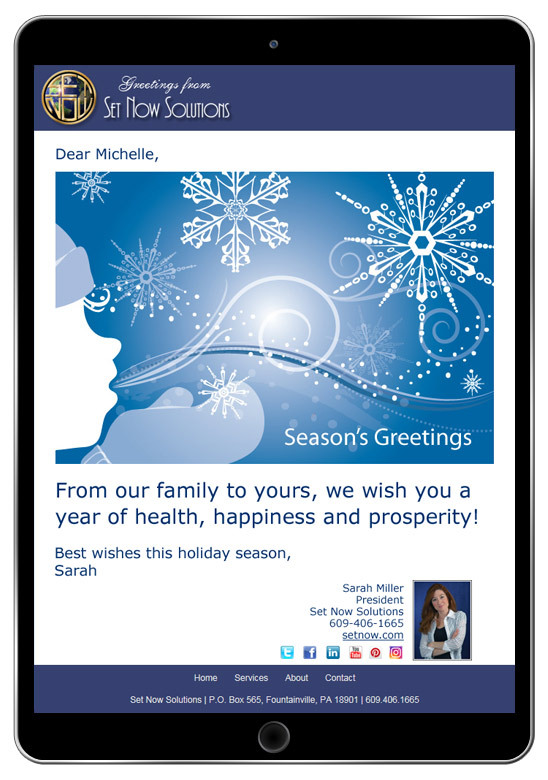 Companies of all sizes use our holiday eCards because they are advertising free and can be customized to include a company logo, colors, contact information and social media links. For those customers who want even more branding, we offer the "custom interface" option to individual members and it is included with our multi-user memberships. The custom interface option enables you to customize our entire website with your logo, colors and links to match your brand. This makes the look of your corporate holiday eCards seamless with all of your other marketing. The custom interface appears around all of the eCards, invitations and surveys you send. If you're a multi-user member, this is also the interface your users see when they use CorpNote. You can also change the look of your custom interface for the holidays or any time of year that you feel like a little change. It's all under your control. Our Multi-user plan allows an administrator to create additional CorpNote accounts within their plan at discounted pricing. These accounts can be created and deactivated based on when your users need them, and you only pay for the months that these accounts are active, which is ideal if you want to allow lots of people in your company to send holiday eCards. Companies with sales people that want to send holiday eCards to their customers. Companies that have different brands, divisions or product lines that want to personalize their holiday eCards for those divisions. Businesses with regional managers that want to send holiday greetings to their own team. Marketing or communications managers that want to offer affordable holiday eCards or holiday party invitations to their management team, but want them to meet certain brand or message guidelines. Multi-user accounts are also great for other times of the year such as customer appreciation, employee recognition, event invitations, or marketing initiatives. Manage users and their options by controlling whether they can upload their own eCard designs and whether or not they can use CorpNote's included card designs. 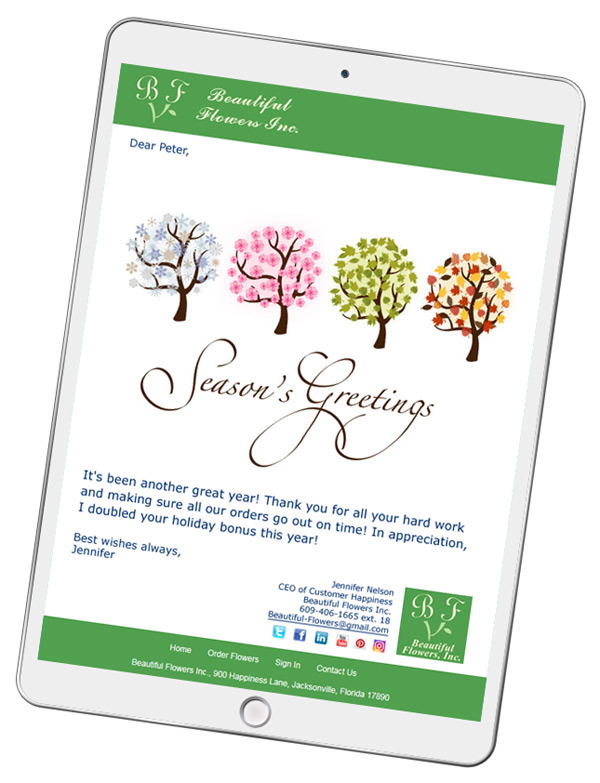 Share eCard designs and templates with your users to encourage brand consistency. Administrators can create and upload custom eCard designs and templates that can be shared with their selected users. Users can then select these 'ready-to-send' eCards with a single click, modify text as needed and then send the cards to their recipients.